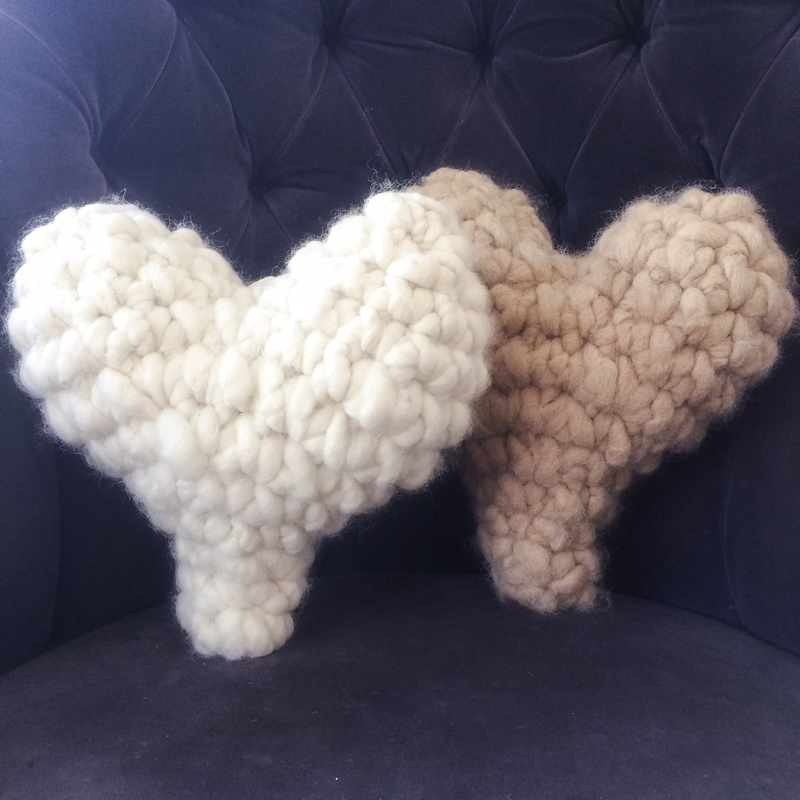 Irresistibly huggable, these amazingly soft hand-crocheted alpaca hearts are the most charming of throw pillows. Petite in stature, they are large on sentiment. They are the perfect gift for all your loved ones and possibly better for yourself. 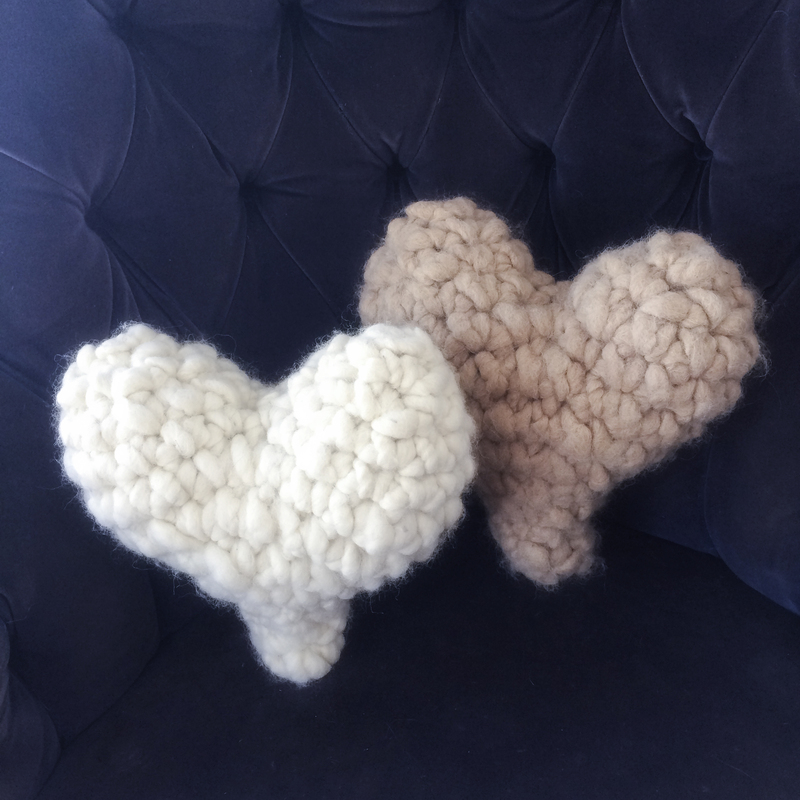 These hearts are crocheted from luxuriously thick alpaca core-spun yarn that I source from family farms in my community. The colors are naturally occurring, so expect a little variation within the piece. 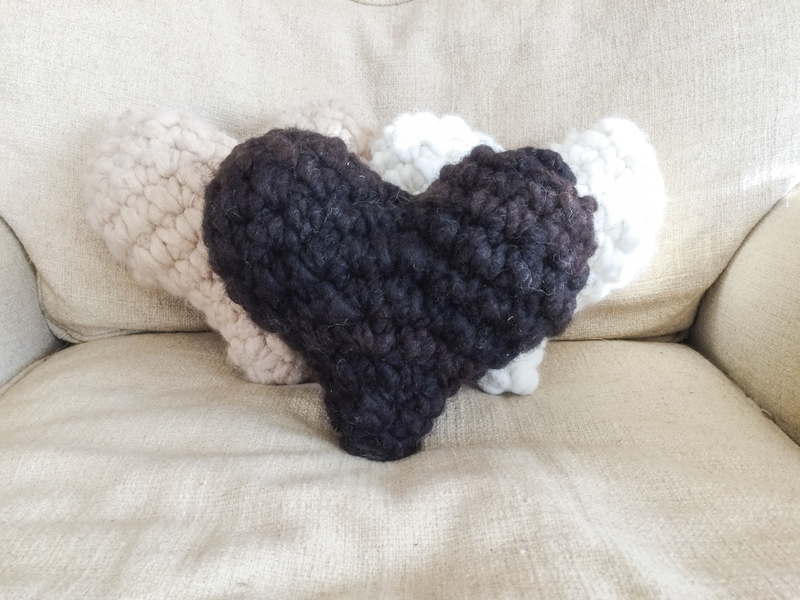 Each heart is a unique piece of work, so each will vary slightly from the next. They measure about 10-11″ wide and 10-11″ tall.